By J.A. 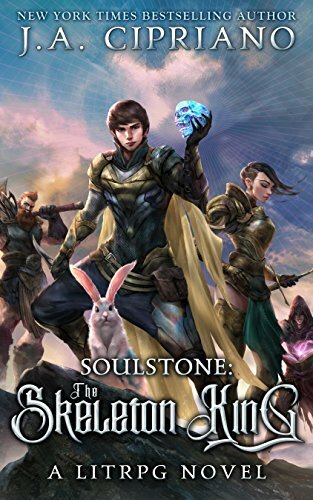 Cipriano (Author) When Aaron and his friends got sucked into the virtual reality game World of Ruul, they quickly realized the only way out would be to acquire all eight soulstones and beat the game. Unfortunately, they’ve somehow managed to incur the wrath of the Skeleton King, an ancient warrior whose vengeance can only be quenched by blood and death. Now, if they want to survive long enough to find those soulstones, they’ll have to find a way to stop him.